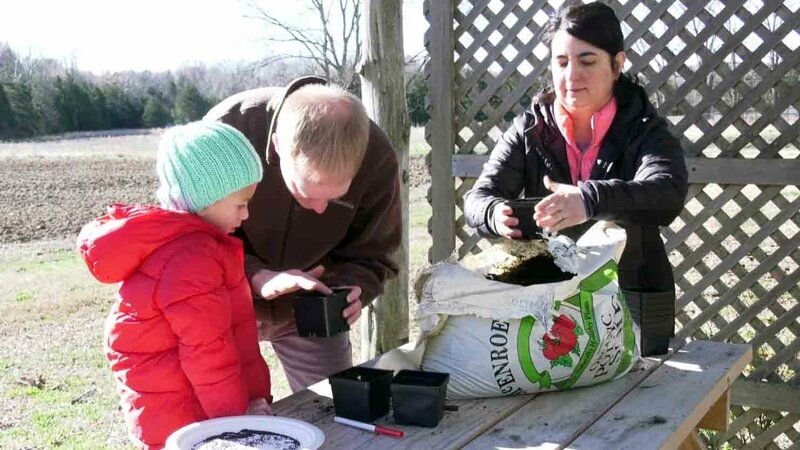 With the weather warming up, people in central Virginia are getting outside, and getting ready for spring planting season. CHARLOTTESVILLE, Va. (WVIR) - With the weather warming up, people in central Virginia are getting outside, and getting ready for spring planting season. As workshops and community supported agriculture began to sprout, many got their hands dirty as they learned ways to grow their own food. “It’s really exciting to be able to bring in an organism that’s growing in Charlottesville and sharing it with them,” said Nina O’Malley, Mush Love. In central Virginia, places like Bellair Farm hold family days, encouraging people to get outside. “Just like plants, the mushrooms kind of go to sleep in the wintertime and a lot for people get you know, a little drowsy that time of year too so as everyone&apos;s kind of coming out and starting to wake up in the spring and work on their gardens they can also work on planting a mushroom garden,” said Charlie Aller, Mush Love. Barret said he hopes to get every member of a family involved in planting. For more information about what you can start growing now, you can visit a garden center near you. You can also find information about community supported agriculture programs here.